A cute pack of 8 princess birthday party invitations. 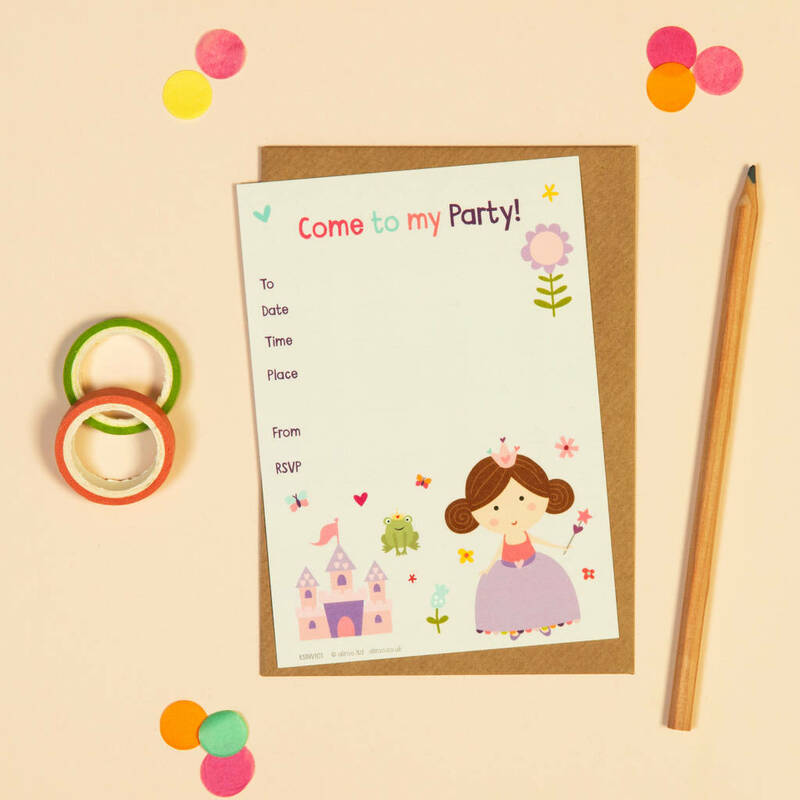 These cute princess invitations were lovingly designed in our little studio in Oxfordshire and are printed single sided on a heavyweight card smooth card. They are supplied with kraft ribbed envelopes and are cello wrapped to keep them in perfect condition. Matching princess thank you cards are also available. This product is dispatched to you by aliroo.